Flash Photography Techniques - Get Resutls! As I mentioned in the previous lesson, flash photography can be tough and a little intimidating when you first start out. You’ll often hear people say, “Oh, I prefer using natural lighting.” instead of “I’m not quite ready to work with flashes yet“. It’s easy to talk yourself out of something. If you have a flash, learn to use it and make it a useful tool. If you haven’t read through the last lesson, please review it so you are familiar with some of the terminology. This tutorial will walk you through some common techniques of flash photography using your built in flash and separate unit attached to your camera while discussing some common problems. Hopefully it will give you some ideas to incorporate into your photography. The next lesson will discuss off camera flash. Most cameras have a built in flash that usually ‘pops up’. The reason for the popup flash is to get the flash tube a little higher to try to avoid the direct harsh light. It doesn’t always help, but it’s a start. If you read your camera manual, you might find that you have a few options or modes for your built in flash. On a compact camera, you might have menu items for ‘always off‘, ‘always on‘, ‘auto‘ and ‘red eye reduction‘. The first three are easy to understand, so let’s look at red eye reduction first. Red eye is term used when the light from a flash (or other bright light) lights up the blood vessels in a subject’s retina and reflects back through the lens. This effect is greater when the subject is in the dark and their pupils are larger. What red eye reduction does is fire a short flash before taking the photo. This usually gets the subject’s pupil to contract so less light can get in and expose their retina. One drawback is that some subjects will blink with the first flash, so when you take their photo, there’s no red eye effect at all since their eyes are closed! 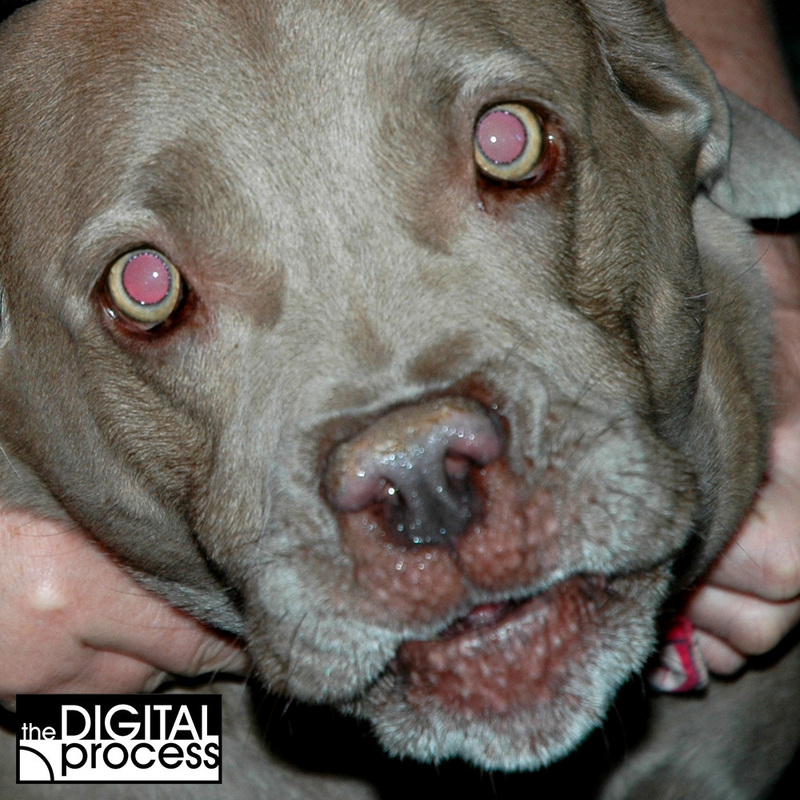 Thanks to digital photography, we can quickly review the images and make sure our subject’s eyes are open. Animals usually have larger pupils, so the red eye effect can is more noticeable with them. If you are taking photos of people or pets in a dark room, I highly suggest turning on red eye reduction for your flash. If you can, increase the ambient light by turning on some lights in the room (this will make their pupils smaller). When I am using a compact camera and don’t have the options I use with my DSLR, I will usually set the flash to ‘always on’ or ‘always off’ so that I know what I’ll be getting. It seems that there are many times when the flash is set to automatically turn on that it doesn’t flash when I want it to, or it does when I’m not expecting it. Controlling the flash this way gives me one less thing to worry about when shooting. 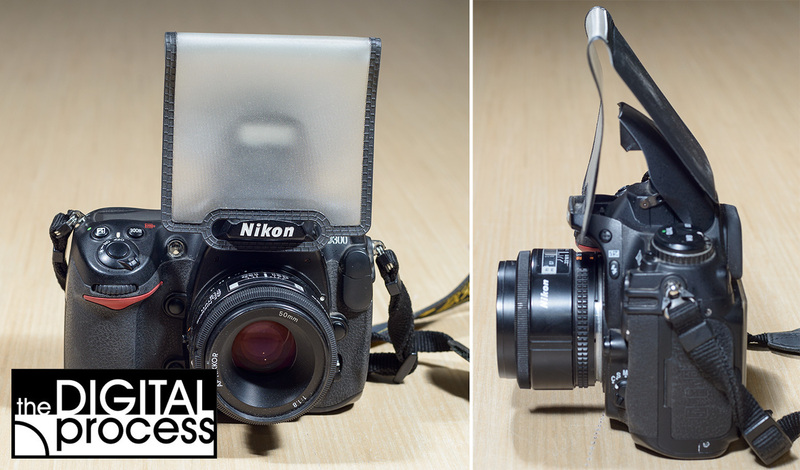 If you are using your DSLR and its built in flash, you might have some more options. If you can set it to manual, your flash becomes very useful. A very common use for a small flash is in portraits as “fill light”. If you can’t control the power of your built in flash, you can try to diffuse it for a softer light. This can be done by placing a light tissue over the flash, or adding a specially made diffuser. Camera flash units are designed to create the same colour as daylight so that you can balance the light between your flash and a sunlit subject. The WB settings are very similar (about 5500k). If you’re not sure which WB setting to use, I’d recommend to use the setting based on the more powerful light source or the light source that is lighting up a person so you can get better skin tones. If you have a new camera, it’s always good to get in lots of practice. Using your flash in situations when you might not usually use it is a great way to try out new techniques. Outside, take a photo of your subject with and without a flash. If you can change the power on your flash, try various settings. Take some outside photos at night in your yard and see how far you can light up your subject using only a built in flash. Check to see how well the TTL setting works. If you have used your built in flash, you can easily use an ‘accessory flash unit’ (AKA: flash, strobe, speedlight). Each camera maker will have a range of flash units to choose from, plus there are some 3rd party manufacturers who are making good units as well. As there are so many options out there, I won’t be able to specifically explain how to set your camera and flash. Check with your manual if you’re not sure and look at the TTL settings. Flash photography does not have to be difficult, but there are some basic rules you want to work with. Shadows can be dark and harsh from a flash, review your images to check for unflattering shadows. Red eye is always a possibility, so again, review your images. If you use bounce flash make sure you bounce off a white ceiling, wall or card. Every time you take a flash photo, you want to remember these four points. If you are shooting a group of people, then it becomes tougher to review your images quickly, but is usually worth it. This section will work through these four points and guide you to getting more comfortable with flash photography. If you are using TTL, you will usually get a flash exposure that is ‘close’. The time to look for underexposure if you are too far from your subject. Conversely, if you are too close then you will likely overexpose your subject as the flash will have a minimal amount of light to send out. If you can’t get closer, then increase the ISO setting. Changing from 100 to 400 ISO can double your flash’s range. Another option is to change your aperture. As you increase the ISO, you will also get more exposure from the shadows as well as the flash. Depending upon the shot you’re taking, you might want to check to see how much more of the background is exposed due to the increase in ISO. If you are getting underexposed flash photos, make sure that your flash is getting to full power before shooting. If you shoot several shots in succession, then you might not be giving the flash enough time to recycle. If you are set at fully automatic, then you might need to switch to aperture priority – but then you need to make sure your camera does not set the shutter speed faster than your sync speed. Many cameras will recognize that you have a flash attached and not set the shutter speed above the sync speed. Another way of working with your flash is to set your camera to fully manual to select the best shutter speed and aperture for the scene and then use TTL or manual settings on the flash to balance out the light. Any time I am in the studio, this will be my approach: set the shutter speed to the sync speed; set the aperture to get the depth of field I want; set the flash power to get the exposure I want. One of the biggest problems I see with flash photography is avoiding ugly shadows. These are usually caused by your subject being too close to a background (like a wall) and the flash puts a dark shadow right behind them. 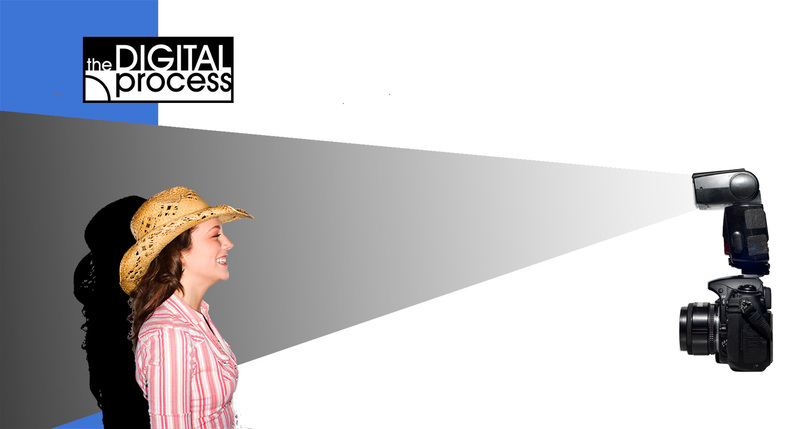 In a perfect world, this is fixed by having your subject move further away from the background to diffuse the shadow. If you’re in a small room, then there’s not much space to move around. See the video at the end of this lesson for several sample photos and explanations. If I’m in a small room, then I’ll almost always use a bounce flash technique. Most flash units allow you to adjust the head of the flash so you can aim the head and bounce it off a ceiling. As a general rule, you want to aim the flash to hit a point halfway between you and your subject. This will give you a softer shadow. If you still can’t get away from the harsh shadows, consider adding a diffuser to your flash for a softer light. I have a post that shows some of the optional flash accessories you can look at. The first thing to try if you have ‘red eye’ showing up in your images is to try the red eye setting for your flash as described above. If that doesn’t help enough, try a bounce flash. If you still have problems, add a diffuser to your flash to soften the light. In the end, if still end up having problems, you might have to fix it in software, and some cameras even have a built in filter / adjustment tool you can use. One more way to avoid red eye is to have your subject turn their head slightly so that they are not looking directly into the camera. Here is a short video which shows two methods for removing the unwanted red eye with software like Photoshop. Using a bounce flash technique is quite simple, but there’s still a few points to be aware of. As long as you can rotate the head of your flash, you’re good to go. Most flashes have a lock of some kind to keep the flash at 90°, so make sure you unlock the flash head and don’t force it. When you rotate the head back to 0° check that your flash doesn’t have a -7° setting (used for macro work). You will need more power as the flash is diffused and softened as it reflects off the ceiling or wall. The colour of the surface used for bouncing will affect the colour of the light hitting your subject. 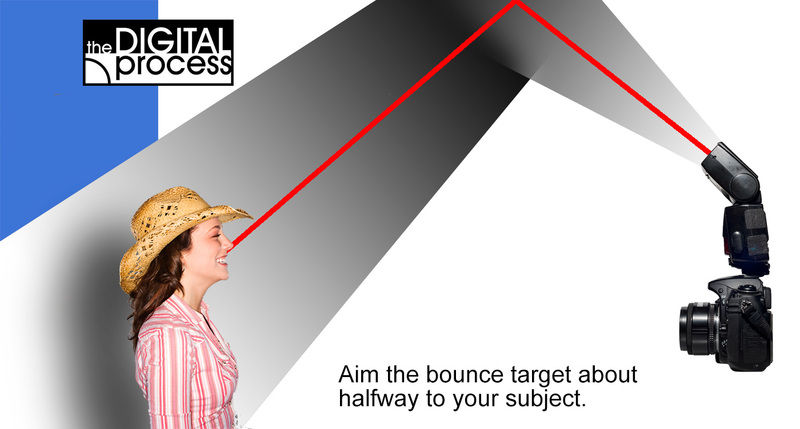 Try to aim the flash at a point half way between you and your subject. Be careful of high ceilings which will diffuse your light, but also provide less light. Other than that, make sure you still check for shadows and red eye, even though they’ll be much less noticeable using the bounce flash. If you need more light for a bounce flash, you can use the tips above (higher ISO or lower f-stop) as well as switching to manual power on the flash instead of TTL. The most important lesson to take away from this tutorial is that there’s more than one way to shoot a photo. If something isn’t working for you, try another approach. When you are learning photography, there’s a lot of trial and error, but as you gain more experience, you get quicker at achieving the look you want. When you start out, you might try five or six things until you get the shot. As you learn more, you cut that down to one or two. When you get a lot of experience under your belt, you can nail the lighting first time. And that’s the goal – get it right the first time, because there might not be a second time. Practice around the house with different settings and locations. Try using your flash in a bright room, outside on a sunny day or at night. The next lesson will show you how to work with off camera flash. These techniques will allow you to take your photography to the next level and get some great shots.